Solutions of Business Continuity & Data Security cover security and management systems as well as an efficient IT infrastructure. 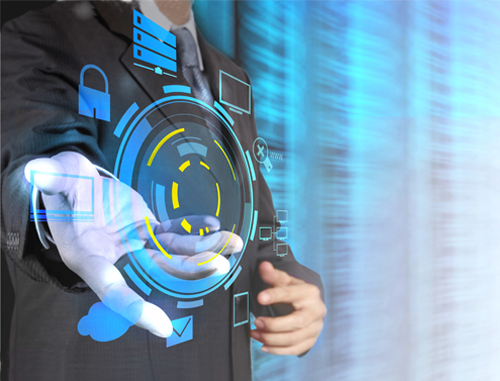 Our solutions protect data and ensure uninterrupted availability of systems. We secure main resources of banks and public administration from hacker attacks. Covers among others physical infrastructure, operating systems, data bases, application servers, systems of management and monitoring, and concentrate on delivering high accessibility of services and business processes of a client. Enables fast recovery of production environment to its proper functioning. Involve ways to protect confidential information from access, modification, theft and their use by unauthorized persons. At present, when companies and institutions store business information and data of consumers, an effective protection from cyberattacks is particularly important. Solutions for aviation include airport infrastructure and systems of support and management of airport terminals. We performed works at the biggest airports in Poland, and a total value of the realized contracts exceeds PLN 350 million. In the aviation infrastructure there is an area of technical support of airplanes during take offs and landings: lighting of airport runways and taxiways, power systems, tracking devices, airport traffic control towers, and a part designated for passenger service i.e. airport terminals. Inside terminals there can be distinguished such technological solutions as passenger information systems (FIS/FIDS) or baggage systems (BHS). Comprehensive performance of airfields for helicopters is included within the scope of aviation infrastructure. We deliver solutions and services granting business continuity through an effective and efficient communication, as well as security of processed data and applications functioning. Our competences cover all aspects of these areas starting with analysis, concepts, designs, implementation, maintenance, service and audit/inspection. High quality of services is guaranteed by experienced team of engineers and experts that prove to be successful every day in the most demanding projects. Designing, implementing and consulting services within the scope of SAN solutions, starting with entry-level solutions, to enterprise solutions of a Director class, covering few processing centers. Designing, implementing and consulting services within the scope of disk arrays solutions, starting with analysis of functional and efficiency requirements for systems and applications using mass memory, to consolidation and array migration. Include solutions of block access (DAS, SAN) with the use of protocols FC, FCoE, iSCSI, and file (NAS) with the use of protocols NFS, CIFS. Designing and creating systems for performing, managing and restoring backup and archival copies of key elements of IT system. Elements used to build such systems are disk arrays, tape and virtual libraries, dedicated highly efficient networks and software to manage backup/archival copies with functions of managing a life cycle of information. Designing, implementing and consulting services within the scope of systems for processing. Offer of servers of tower, rack, blade type covers architecture x86/x64 and RISC. Designing, implementing and consulting services within the scope of critical systems – dedicated to applications of the highest possible availability, unique functionality and scalability to hundreds of cores having functions of partitioning, virtualization and clustering. Solutions of high-end class based on IBM Power p-Series and Mainframe z-Series solutions. Designing, implementing and consulting services within the scope of computing clusters and supercomputers – dedicated servers to HPC clusters of thousands of computing nodes based on Ethernet and Infiniband network. Designing, implementing and consulting services within the scope of low-balancing and high-availability clusters solutions for MS Windows, Linux and Unix systems to be used with databases, web and application servers. Designing, implementing and consulting services within the scope of high availability solutions on the level of hardware, virtualization, operating system, databases, or applications with the use of replication technologies (synchronous/asynchronous), synchronous content (log shipping), and snapshots. Designing, implementing and consulting services within the scope of back-office systems as directory services (MS Active Directory), mail and team work (MS Exchange, MS SharePoint, Zimbra) and terminal environments (MS Remote Desktop Services). Designing, implementing and consulting services within the scope of database solutions on the ground of IBM DB2, Oracle DB, MS SQL Server and dedicated solutions incorporating hardware and software such as IBM PureData for Transactions, Oracle Exadata and Oracle Database Appliance. Designing, implementing and consulting services within the scope of virtualization and consolidation of mass memory with the use of IBM, HP and DataCore solutions. Enables centralization of management and sharing disk resources in heterogenic SAN of a client. Thanks to functionalities of automatic tiering, thin provisioning, data deduplication, and compression, it is possible to significantly increase efficiency and reduce costs of mass memories. Designing, implementing and consulting services within the scope of virtualization of workstations and applications on the basis of Microsoft and VMware Horizon View solutions. Through delivering to clients a simple terminal, so called thin client, solution enables centralization of access and management of desktop and users’ applications. Placing station on a virtualization platform enables significant reduction of costs of management and maintenance of workstations and applications. Designing, implementing and consulting services within the scope of servers’ virtualization with the use of VMware vSphere, MS Hyper-V, XenServer and KVM. This solution enables consolidation of physical servers on a virtualization platform, centralization of management and monitoring of server infrastructure. Virtualization of processing resources (CPU, RAM, HDD, I/O), functions of load balancing, thin provisioning, data deduplication, increase in utilization of resources, optimization of processing, simplification of management and reducing of total costs of IT infrastructure. Designing, implementing and consulting services within the scope of solutions of private cloud (Private Cloud) based on technologies VMware vCloud, MS Hyper-V/System Center, HP Cloud System, IBM SmartCloud and CloudStack. The cloud integrates all modern solutions from hardware to software significantly reducing costs of creating and maintaining IT infrastructure. Thanks to automation configuration of new environments, self-service, monitoring and managing environment, and accountability of used resources, is possible to deliver infrastructure, platform, as well as software in a form of a service (IaaS, PaaS, SaaS). Designing, implementing and consulting services within the scope of systems of management and monitoring of infrastructure on the basis of open source solutions: Q-Monitoring, Zenoss and commercial from the IBM Tivoli, MS System Center, Vmware family. Monitoring allows seeing functioning of the whole IT infrastructure, detection of problems with availability and efficiency, as well as undertaking proactive and reactive actions). Designing, implementing and consulting services within the scope of systems of applications and business services monitoring on the basis of IBM Tivoli solutions. Thanks to detailed analysis of components of functioning of applications, among others application server, databases, queue server, etc., it is possible to detect “bottlenecks” of applications. Software enables also view of applications as business service where certain indicators of SLA availability and key indicators of KPI efficiency are examined. strategies for development and modernization of infrastructure, feasibility study. Designing, constructing and maintaining complete solutions providing security of corporate networks, key IT resources and safety of communication. System is made for fixed connections, as well as for mobile users. To construct systems of network and communication protection there are used such components as: firewalls, sensors and IDS/IPS probes, NAC systems, concentrators and VPN gateways (IPSec and SSL), and solutions of high authentication of users or devices. Designing and implementation of solutions providing control of communication and users activity, within the IT system of a Client and on interface with the outside world. Control is conducted to detect viruses, malicious and harmful software, as well as illegal content. Elements creating systems of content control are most often: antivirus system, anti-Spyware system, anti-Adware system, system preventing spreading of SPAM emails, filtration system of emails, and filtration system of URL addresses. Designing, implementing and consulting services within the scope of solutions serving to analyze in real time incidents deriving from network, applications and security systems. 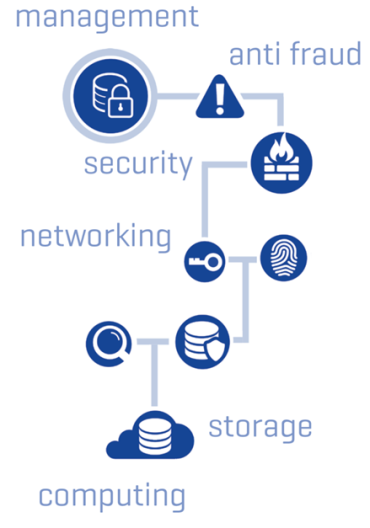 These systems are used to manage vulnerabilities, risk and threats. Designing, implementing and consulting services within the scope of solutions serving to monitor in real time DBMS movement. DAM systems applied to prevent unauthorized activities on databases and at the same time protection of critical data. Designing, implementing and consulting services within the scope of solutions to prevent leaks of confidential data. Designing and implementing solutions providing management of information security within the organization. Systems of managing information security are built with the use of: tools to evaluate susceptibility of IT elements, tools of risk management for IT system, and elements of security system. Designing and implementing solutions providing central management of users’ accounts in dispersed and diversified IT systems. Services provided by consultants holding the international certificates CISA and CISSP. audits of personal data protection.